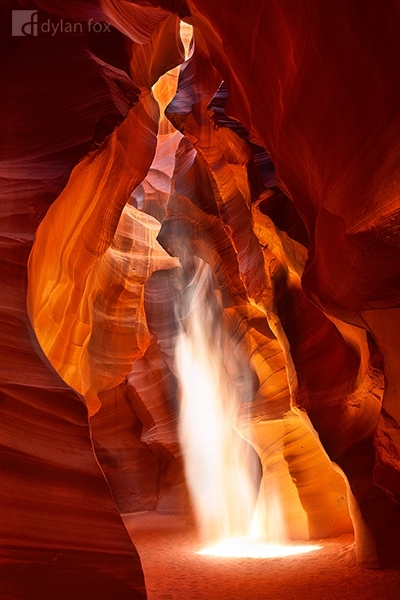 A spirit like figure captured in Antelope Canyon. This scene was created by throwing sand high into the air into a light shaft. The colours and textures of this place are stunning in themselves. The light shafts are the icing on the cake. Secure your limited edition,Antelope Canyon photographic print, 'Spirit', by selecting your desired print size in the menu to the right.